Time flies – even for cars that look like they’ve come from the future – and it’s already mid-life update time for the BMW i3. A light refresh for BMW’s composite-chassis four-seat electric city car includes a mild styling facelift, an upgraded battery for greater range – and an extra model in the line-up, the BMW i3 S.
It features lower suspension, wider tyres and more power – the equivalent of 181bhp versus the regular i3’s 168bhp. So is the BMW i3 S an electric hot hatch? Not as such, no. 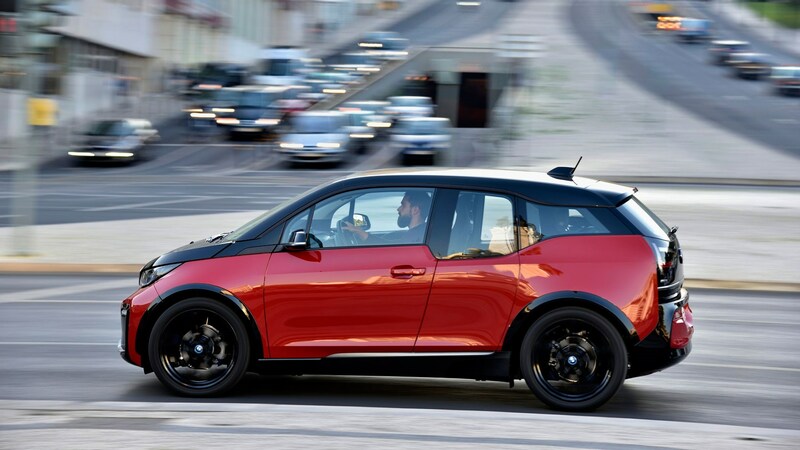 Think of BMW i3 S more as a warmer, slightly more energetic version, with a reduced allergy to corners. High-speed handling has never been the regular i3’s strong point. How is the new i3 S different from a regular i3? Visually, a black roofline makes the i3 S look lower, while ride height reduced by 10mm means it actually is. A different front bumper apron, with more gloss black, also helps the BMW look wider, as does a new rear bumper treatment and black wheelarch surrounds. 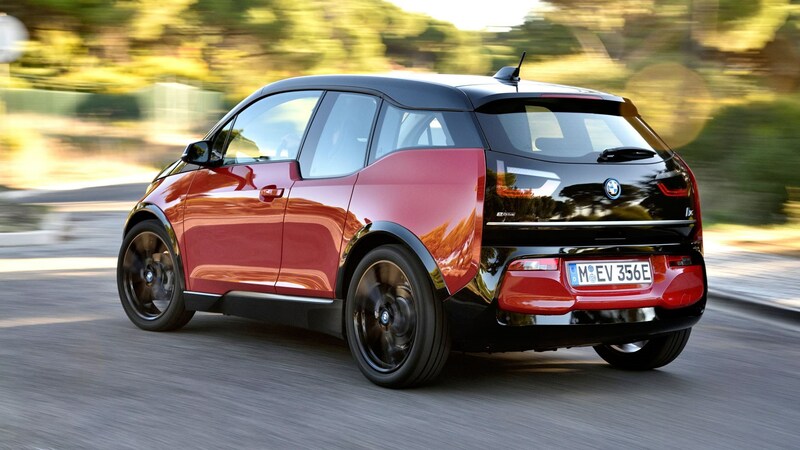 I’m not sure about the faux nostrils in the bumper, which look like air vents for the non-existent radiators, nor the gloss black wheels which make the tyres look grey by comparison, but there’s no doubt the styling tweaks do give the i3 a bit more attitude. Most significantly on the handling front, the track is wider by a full 40mm, and the wheels and tyres wider by 20mm. The alloy wheel design is exclusive to the i3 S, 20 inches in dimeter. The Dynamic Stability Control (DSC) and traction control have been recalibrated to suit the wider footprint, and to be a little less trigger-happy. Forget the i3 S, what's new for the regular i3? The standard i3 has been given a few small styling tweaks of its own, with a U-shaped surround for the front bumper apron in body colour and a horizontal chrome strip at the rear – again adding visual width. The lithium-ion battery has been upgraded to 94Ah/33kWh, and the output of the electric motor increased a little accordingly to 168bhp and 184lb ft. The more powerful i3 S uses the same new battery. As before, the motor runs via a single-speed automatic transmission. A Range Extender (REX) version is still available, which uses a two-cylinder petrol engine to charge the battery when required, thus hugely increasing the car’s potential range. The regular i3 now has a top speed of 93mph and gets from 0-62mph in 7.3sec (or 8.1sec for the REX). The i3 S, by comparison, hits 0-62mph in 6.9sec. Among other minor updates, there are some new interior trim options including new leather seats – which got pretty toasty to sit in during the warm weather we tested the car in. The i3 S also enjoys the latest widescreen BMW infotainment system. Is the i3 S also available as a REX? It is, adding 90+miles to the potential range, 120kg to the kerbweight and several thousand pounds to the price. The pure battery-electric BMW i3 S costs £36,975 from launch, and the REX version £40,125 – a lot of money for a city car. By comparison, the regular i3 is now £34,070 and the REX version £37,220. At the time of writing, buyers in the UK would factor in a £4500 electric vehicle grant. BMW UK expects to sell around 3150 facelifted i3 and i3 S cars combined in their first full year of sale. It expects REX models to account for around 60% of sales, and the i3 S to be around 25% of the mix. What’s the BMW i3 S like to drive? You do notice the firmer suspension on urban streets. The ride is a bit jiggly, especially over Lisbon’s careworn cobbles where we tested the car. It’s definitely quick – from 0-30mph, there’s not much out there that would be able to keep up and it’s hard not to crack a smile every time you crack the accelerator pedal open. The i3 was a quick car in a straight line to start with, and the i3 S noticeably more so. As for corners – it’s better, but it still doesn’t feel hugely at home on the handling front. It’s still a very tall car with a relatively short wheelbase, and while its limits are higher than the regular car, it’s still best to drive it with some decorum. CAR’s long-term i3 could feel quite sketchy on slimy winter roads, and driving on fast B-roads had to be conducted with care. I’d feel more comfortable in the i3 S, but it’s still a car that’s most at home at lower speeds in the city – which is exactly the purpose it was designed for. The BMW i3 S adds addictive acceleration and marginally more secure handling to an already immensely likeable, very quick but pricey city car package. A firmer ride is the price to pay around town. Its dynamics are more stable and responsive than the regular car, but it’s no hot hatch – nor is it intended to be. If you want the fastest, most fun i3, this is it – but its greatest strengths (an attractive, innovative interior, show-stopping exterior styling and enough space for everyday most driving scenarios around town with the capacity for longer trips possible) are shared with the regular i3. 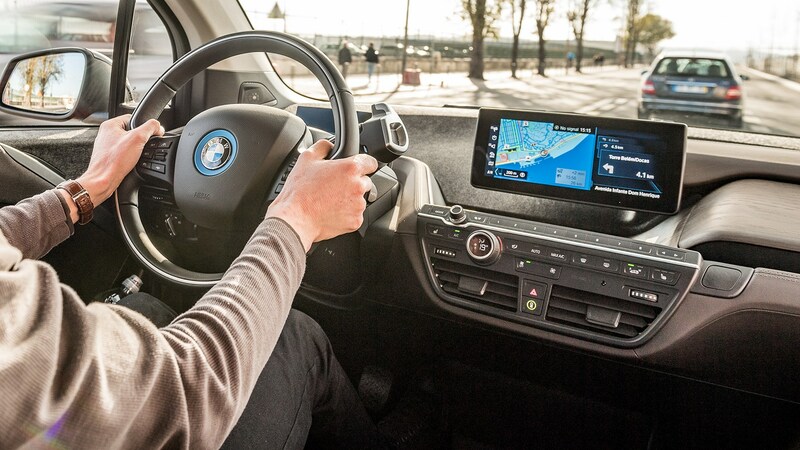 A year-long test of a BMW i3 Range Extender: what did we learn?